GAOTek’s laser distance meters are used to measure the distance between the target and the device. Our device sends a pulse of laser light to the target and measures the time it takes for the reflection to return. Its ergonomic design offers a simple function for user-friendly use. GAO Tek’s laser distance meters are reliable, high quality, and inexpensive equipment that provide an accurate measuring for easier inspection or testing and for sale to the United States, Canada and globally. It is compact, easy to carry and portable to allow the user to work in complex conditions and on-site. A laser distance meter offers the fast speed, accuracy, versatility, safety, functionality, and convenience than the old-fashioned tape can offer when used in the field. A laser distance meter sends out a focused pulse of light to the target and detects the reflection. The meter measures the time it takes for the pulse to get reflected then it converts this to distance. The distance is then displayed on the digital panel. The formula used to calculate the distance is Distance = ½ (Speed x Time). The meter measures the time intervals of the order of billionths of a second. Although, a tape may seem reliable when used in a small distance, the laser distance meters offer the same features as the tape while also being accurate up to a larger distance. 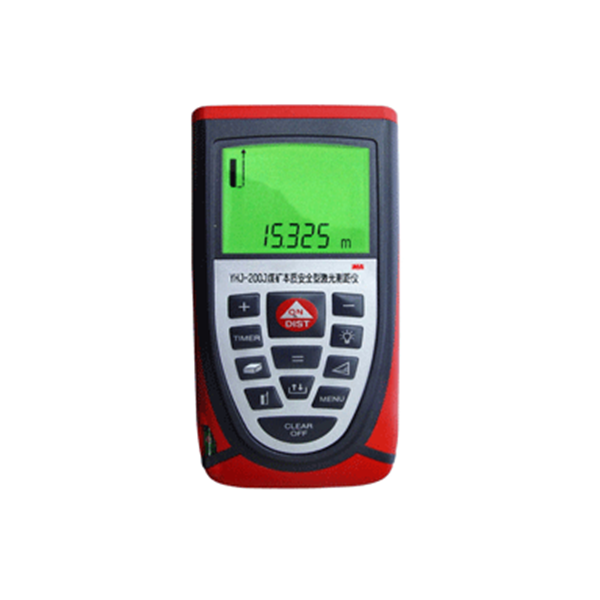 Laser distance meters are able to maintain a straight measurement without bending or sagging. Moreover, the instrument offers a choice of units for measurement for no risks of misreading. A laser distance meters and the optical system of the device contains an infrared sensor, transmitting semiconductor laser which is located at the center of the receiving lens in an opaque cylinder. It ensures that the laser is coaxial with the photodetector and that the measurements of short distances are accurate. A relative wide laser beam is focused by the lens to offer a narrow beam at its exit and ensures a laser spot diameter of about 30mm at distances up to 50 meters. The power of the received signal is proportional to the area of the receiving lens. The IR sensor contains a microprocessor that controls the keyboard through a connector. The photodetector input signal is fed into an amplifier and then the amplified signal goes to the input of a fast 12-bit analog-to-digital converter (ADC). The ADC output is fed into the programmable integrated logic circuit (PILC), which does all the necessary processing. The output code goes to a microcontroller input along four lines. A microcircuit is used to charge the PILC and the laser has a transistorized modulator where a measurement is made after the adjustment. Lastly, it contains a battery charger circuit which is made with microcircuits and transistor, which the transistor is used to switch the IR sensor on and off. The IR-sensor turns off when a measurement is taken, to save electric energy in the battery and the microcontroller remains connected. Software included for computer use. It is frequently used in various application such as industrial sector, construction, military, 3-D modeling, forestry, sports, production processes, renovation and real estate.